You have one of the very limited hotel car parking spaces. This is not available to those who have not been pre-confirmed at time of booking BeachRoc. If you do not require one now, please let us know. 21st February 2019 to keep your space. From 22/2/19 any unclaimed spaces will be offered to those on the Standby list. BeachRoc has to maximise the allotted spaces and with double parking. When you arrive to BeachRoc, the hotel reception will have your details once you have confirmed via this form. In 2020. 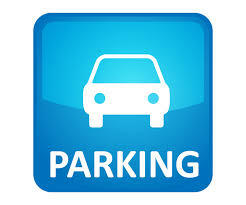 There will be a charge for Parking in the Hotel Car Park @ £3 per night per car. They can no longer sadly offer this car park for free, which shall enjoy in 2019.
its a separate registration for each car. The Lead Name is responsible for all car registrations. The first five places on the right in the car park are designated parking places for MJRoc BeachRoc Crew, who will be individually notified. Therefore do not park in these places, because you be asked to move but you would have inconvenienced a member of the BeachRoc team who has to find you. Once parked on Friday 26th April, you will not be able to leave the car park until Monday morning 29th April after 8am. Late on Friday night and maybe Saturday morning, there will be more parking, "double parking", filling the central area. you park there entirely at your own risks. If you decide on the day to not park in the hotels car park, please let the Hotel reception know, as someone else can park there instead, please do not forget to notify them before Fridays dinner. SUBMIT this form after all boxes have been completed, if the form does not not submit, please check above boxes to see if any are highlighted in RED, complete, re-submit and the screen form, if completed correctly, will disappear.